Here, the boy will have to prepare a four course meal for his partner which will be a secret for her. He can choose any of the dish of his choice from our menu and we will teach him how to cook it. This shall continue from 10 am to 12 pm. 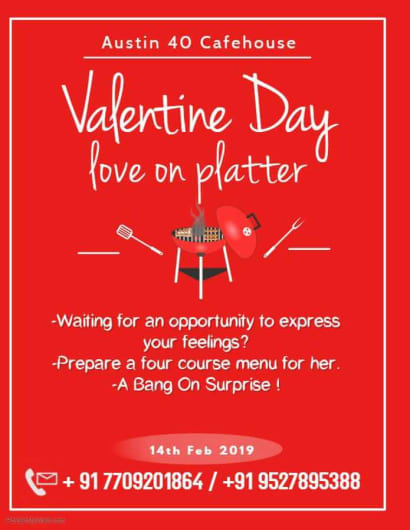 By 12 pm they should invite their partners and surprise them with the meal they have prepared. Bring your ID cards for age verification. Special Details: Event starts at 10AM.